That’s what I love MOST about having finally overcome my binge eating issues, and living a life that totally focused on and revolved around FOOD. 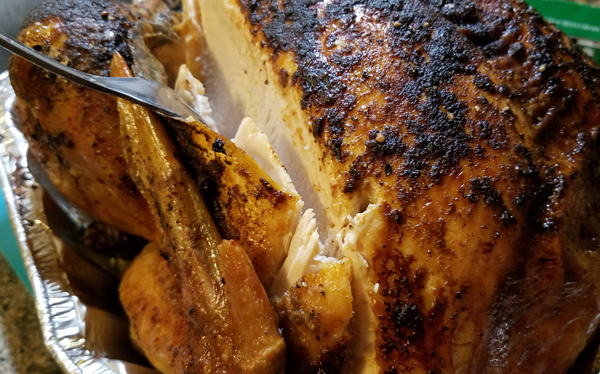 Interestingly I shared Thanksgiving with two other people (my son and his girlfriend) so there was a Carnivore, Keto and Vegetarian all cooking in the kitchen together. And it worked out beautifully for everyone! It was a gorgeous  Thanksgiving day in Tennessee! 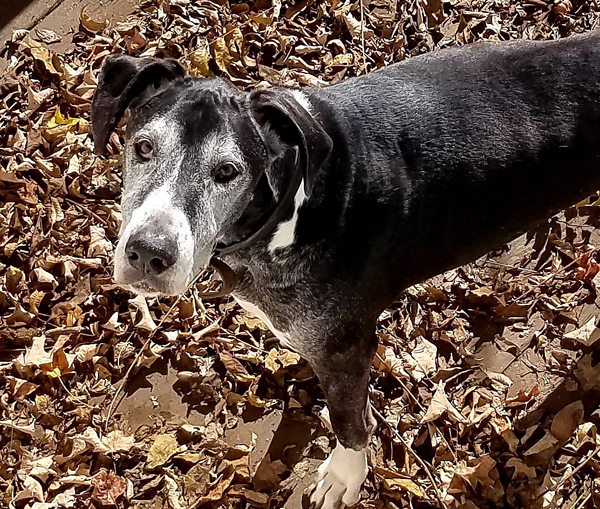 Slim (my old man dane) was feeling frisky that morning, out romping in the leaves that I really need to clean up. 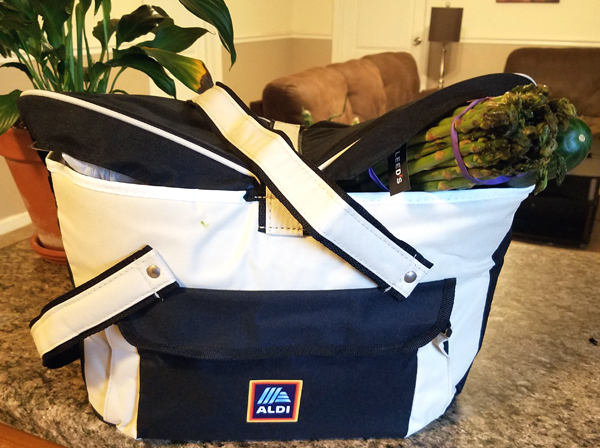 My son was making the turkey, and his girlfriend was making some vegetarian sides (including starches and carbs I knew I wouldn’t be eating), so I found that nice insulated picnic style bag Aldi sent me awhile back… and packed up some veggies & groceries to add some vegetarian-friendly low carb side dishes to the meal. 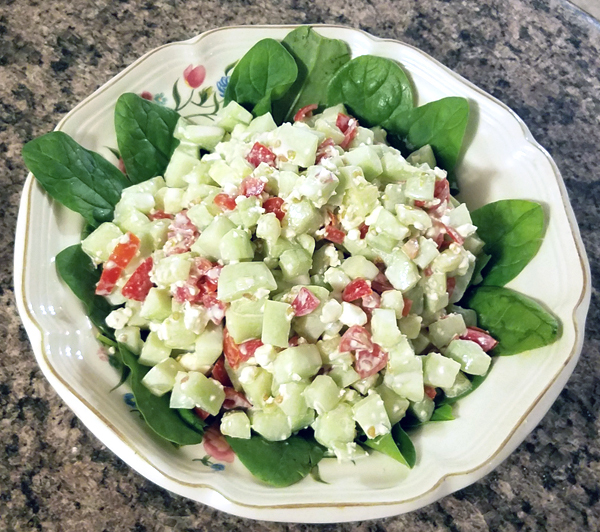 I was planning to make a simple cucumber tomato feta salad on a bed of fresh baby spinach. 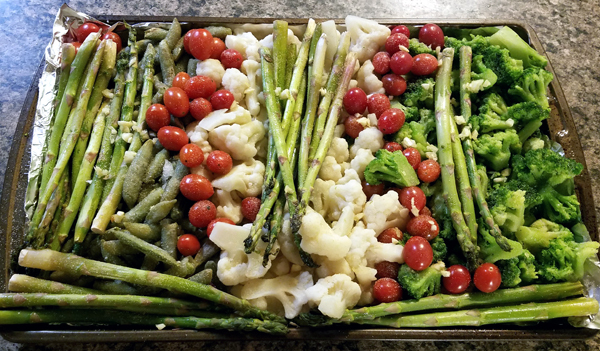 And also roast a variety of vegetables: asparagus, cherry tomatoes, broccoli, cauliflower & snap peas. 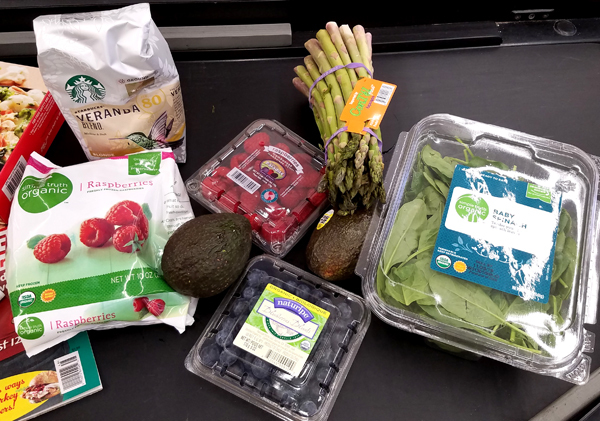 The avocado and berries are for a new Raspberry Vanilla Keto Shake I want to try making this weekend. 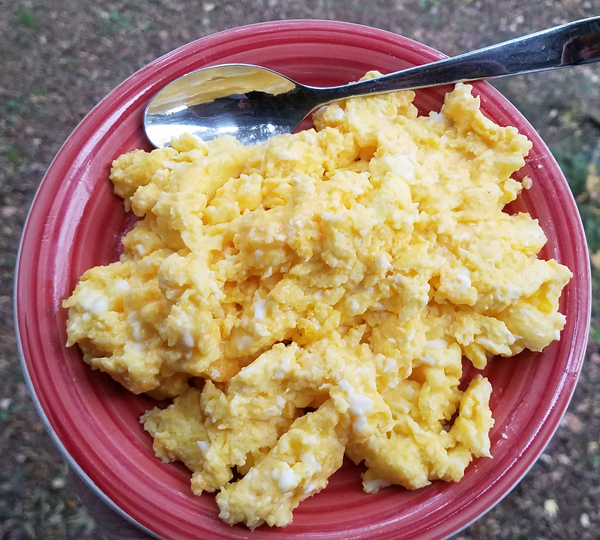 I whipped up some cheesy eggs for breakfast while I packed up my Thanksgiving bag. 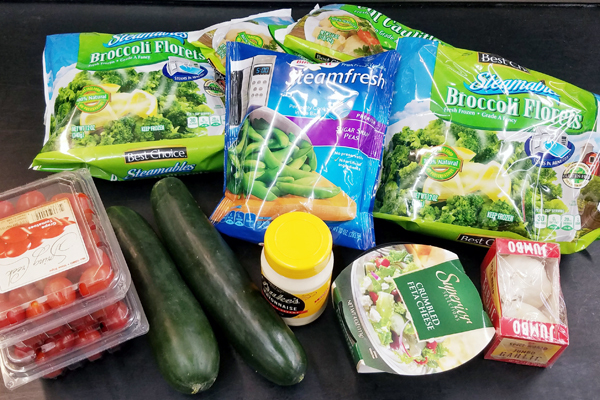 You can use any low carb vegetables you prefer, of course. I baked them at 400° to desired roastedness. I toss them a few times to get them browned evenly. 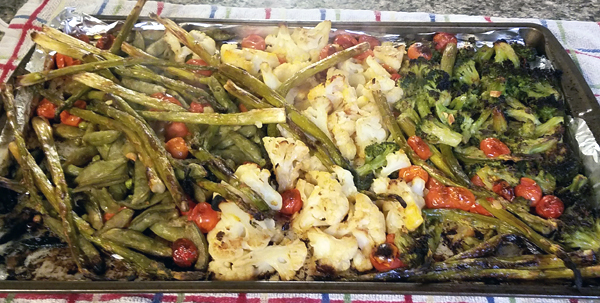 Morgan made some traditional vegetarian friendly sides too so we all had a delicious plate full of foods! 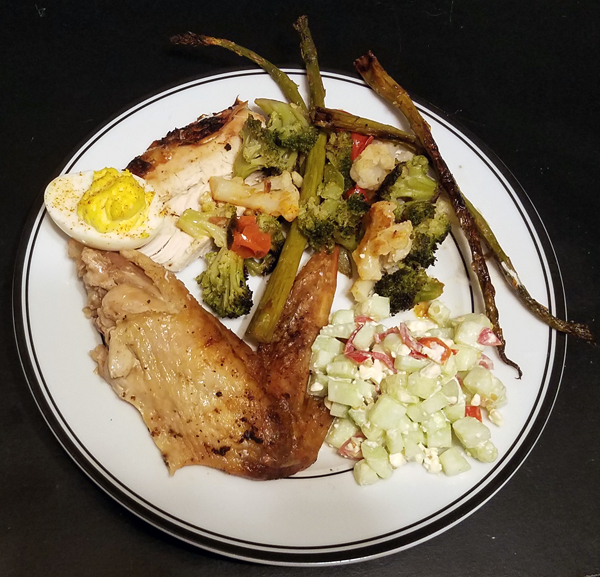 Mine included a huge turkey wing with roasted veggies, cucumber salad & a deviled egg. 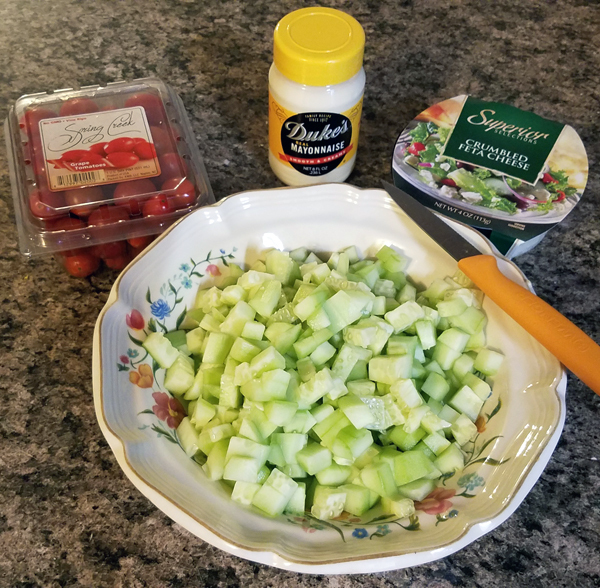 I went back for more cucumber salad and another deviled egg too! 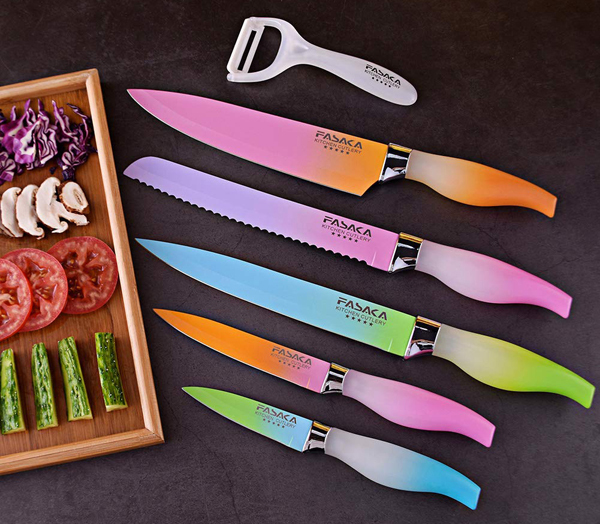 On the topic of cooking, check out this GORGEOUS colorful kitchen knife set! I had such a FUN holiday this week, and I love how EASY it is for people of different “food religions” (preferences, lol) to cook and eat together. That wasn’t an issue at all, because we all focused on ENJOYING the conversations & prep together in the kitchen, the quality time, and the meal together. I’d love to hear how your holiday week went! 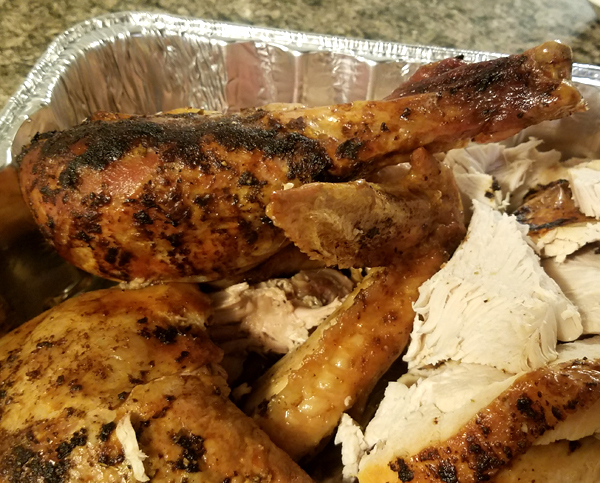 This entry was posted in Low Carb Daily Journals and tagged holiday. Bookmark the permalink. 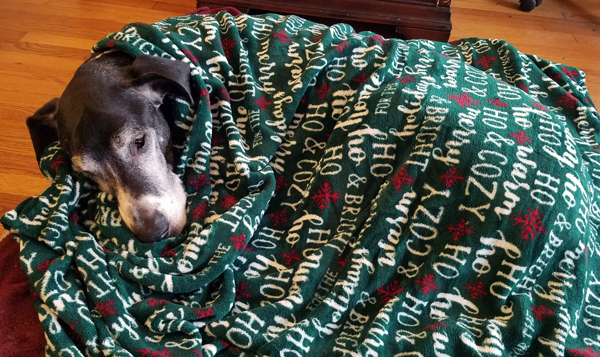 So glad you had a wonderful Thanksgiving. I love your honesty and openness. I wish you a wonderful holiday season 🙂 Your vegetables looked amazing. I am going to try that myself. Thank you, Sue! 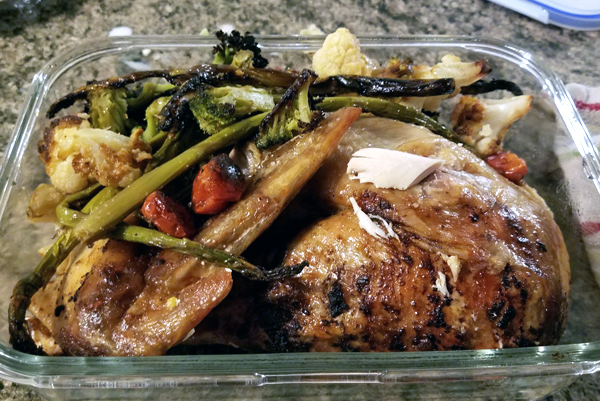 🙂 I really love roasted vegetables, always a hit with anyone – and so easy to make. Enjoy! Danget Lynn I immediately had to go buy those knives LOL. I did need new knives anyway and that was a fantastic price so thank you for the code and suggestion 🙂 Your Thanksgiving looked lovely and it sounded very relaxing. Mine was disappointing only in that my family didn’t like the things I made and my brother even said “all the food was awful”. I made a keto Green Bean Casserole that I thought was good, but it wasn’t the traditional so of course it wasn’t liked. I also made keto biscuits and a cheesy alfredo spaghetti squash dish which I think people thought were cheesy potatoes so again, not impressed. I ALSO brought deviled eggs…My mom had the turkey, potatoes, stuffing, sweet potatoes, ham and gravy so I guess I’m unsure why everyone seemed so disappointed in the meal we made them. It left me feeling very sad and if not for my mom hosting I would actually not want to go for Christmas. I need to get over that. I need to respect that my family doesn’t eat how I do and I guess it just leaves me not wanting to have to bring anything that I won’t eat so maybe just deviled eggs. Just hard because I love cooking and contributing. Sorry to go on and whine it was just a disappointing day by the way everyone acted and seemed so unappreciative. BUT BESIDES MY WHINING! lol I ate fantastically and felt great at the end of the day. 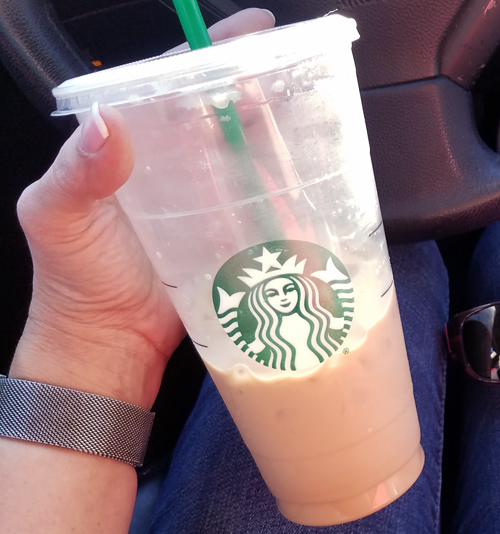 My mom is on board w/ Keto and she said she felt great too. Oh yeah I also made Pumpkin Cream Cheese Muffins, keto of course so I was able to have dessert. Next time I can just go and eat the meat and eggs 🙂 Who cares. Moving on. Happy Thanksgiving! Yay pretty new knives! I am so sorry you had a tough holiday, and especially that your family gave you a hard time about your dishes! They sound FABULOUS. It was really nice to share a meal with my son and his girlfriend, but to be honest… that’s the first “real Thanksgiving” I’ve had in so many years I don’t even remember how long it’s been.